I think there are possibilities, aren’t there? With 66 books and short stories and plays, she — and she often brings people together in her own books actually, so innately — she enjoyed that. You feel as though there is a world — just like with Dickens, there’s a complete world that she’s created — certain kinds of characters who live in her world — that I think has real possibilities. Kenneth Branagh har redan fått tummen upp att göra uppföljaren på Murder on the Orient Express som kommer baseras på Death on the Nile. I Death on the Nile kommer Branagh stå som regissör samt spela mästerdetektiven Hercule Poirot. 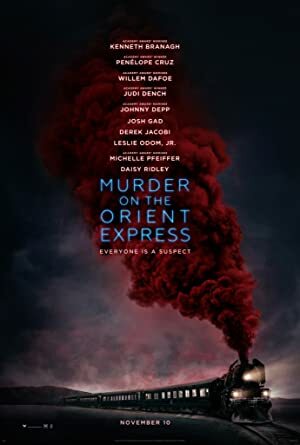 Ovan ser ni en trailer för Murder on the Orient Express.